7 Stones Boracay - is within easy walking distance to Boracay Island's main shopping strip, D'Mall, where you can enjoy a leisurely meal, enjoy the luxury of a massage on Boracay Beach or shop for local and imported goods. Artista Villas Resort - the unique beachfront boutique resort on the beautiful island of Boracay. Boracay Beach Resort - located at the heart of Boracay Island -- midway along White Beach between Boat Station 1 and the island's newest center, D'Mall. Blue Mango Beach Resort - located on the southern end of Boracay Island, just a 3 minute walk from Boat Station 3 on Boracay Beach. Boracay Beach Chalets - nestled in paradise surrounded by crystal waters and fine white sand. Boracay Holidays Resort - Located in Manggayad (Station 2), right between the Boracay Main Road and two access roads, about 3 minutes walk to and from the world-famous white beach of Boracay. Boracay Terraces Resort - The hotel is situated on the northwestern tip of White Beach. It is a 7 minute walk to a medical clinic and a post office along the main road, and a 7 minute walk to Boat Station 1 on the beachfront. Boracay Tropics Resort - Right in the heart of Boracay's Boat Station 2, landmarked by Tourist Center, Boracay Tropics is just steps away from the renowed White Beach. Bora Sky Hotel - It is a full hotel on the main road of Boracay, five minutes from White Beach, or five minutes from Bulabog Beach. Chalet Tirol Beach House - Located along the best part of Boracay Beach, within walking distance to Fairways and Bluewater Philippines Golf Course, horseback riding stables and Boracay dive shops. Chalet Y Boracay Resort - located at Boat Station 1, the very heart of the island, and just a walking distance to shopping districts, horse stables, restaurants and bars, dive & water sports shops, and other recreational boracay tourist spots. Coco Mangas Hotel Beach Resort - located near Boat Station 1 just 50 steps from the beach. Cohiba Villa Boracay - located overlooking Bulabog Beach of Boracay Island. Courtyard Resort - Centrally located at Station 2—within a minute’s walk to the beach or to the talipapa (wet market). Dave's Straw Hat Inn - located only two minutes away from the famed White Beach. Discovery Shores Boracay - a prefect place where you can surround yourself with the most glorious sunshine as well as golden sunsets. Eco Village Resort - carefully designed to ensure your stay and activities perfect. Erus Suites Hotel - is located right at the heart of station 3 in the beautiful Island of Boracay. 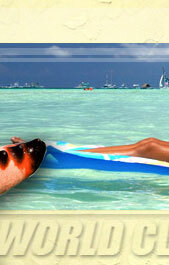 Escondido Beach Resort - located near some of the most prestigious white sand beaches in Boracay. 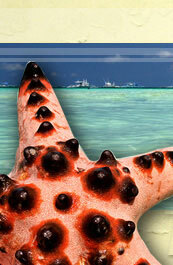 Escurel Inn Boracay - ideally situated in Boracay boat station 2. Fairways and Bluewater Resort - Spread out upon acres of lush greeneries, The Residences At Fairways & Bluewater are located on white beaches and azure waters in Newcoast, Boracay. Fatjimmy's Boracay Resort - located directly behind D' Mall, in station, at the heart of Boracay, approximately 150 yards from White Beach. Fridays Resort - Beautiful location at the northern end of White beach. A 20 minute pleasant walk to Boracay’s nightlife. Golden Sun Apartelle - located at Boat Station 3, less than a minute walk to the beach. Next to Golden Sun Apartelle is the Bora Spa. Grand Boracay Resort - The location of Grand Boracay Resort lies in the heart of D'Mall, Station 2 in Boracay Island. Gran Prix Hideaway - beach front resort conveniently located in Station 1 of Boracay Island. Habagat Kite Village - located in the center of Bulabog Beach in a prime kiteboarding location. Hey Jude Boracay Resort - located in station 2, next to the Boracay Mall. Island Jewel Inn - less than 1 minute from the glorious famous White Beach at boat station 3. Jony's Beach Resort - located at the side of Boracay accessible through Boat Station 1. La Carmela Resort - centrally located at Station 2, near the Tourist Center- within a few minutes ' walk to the talipapa (wet market). La Fiesta Beach Resort - small resort, directly on White Beach. Located just north of D'Mall on the main footpath close to all amenities. La Isla Bonita Resort - located in boat station 3 of Boracay Island. Lazy Dog Boracay - located at station 2, on the Bulabog side of Boracay Island. Lingganay Hotel Resort - located at silent site of Boracay, and only five minutes from D'mall and white beach with 24 hours free bring and pick-up service. Loveholic Place Boracay - located less than a minute to D'Mall, a minute to the beach, and a minute to the main road. Mandarin Island Hotel - located a new luxury hotel in Boracay, just meters from the beachfront of Boracay Beach station 2. World Class Philippines Resorts - resortsphilippines.com also showcase a unique blend of travel and leisure, Palawan photos and stories, updates, events and announcements about roads, shopping malls, hotels, bed and breakfast, restaurants, groceries and more. Not just a travel guide but one-of-a-kind discovery of people and places.